Melissa L. Rosado de Christenson, M.D., professor of radiology, has been named recipient of the American Roentgen Ray Society Gold Medal. It is the highest honor awarded for distinguished service to radiology. The award will be presented during the ARRS 2018 Annual Meeting opening ceremonies on Sunday, April 22, in Washington, D.C.
Rosado de Christenson serves as section chief of thoracic imaging at Saint Luke’s Hospital of Kansas City. Dr. Justin Stowell, a radiology resident at Truman Medical Center, talked about the success of an early lung cancer screening program he leads. 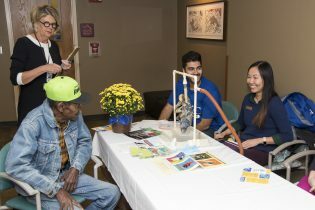 The UMKC Health Sciences District marked Lung Cancer Awareness Month on Thursday with “Smokin’ Out Lung Cancer,” a midday event that outlined the district’s early lung cancer screening, treatment and prevention efforts, led by Truman Medical Centers. TMC’s screening program emphasizes early detection and treatment for longtime smokers and ex-smokers. The event Thursday celebrated its patients’ and doctors’ success in committing to healthy living and saving lives. The screening program uses low-dose CT scans and is the only one in the nation to be driven by resident physicians, who are supervised by faculty from the UMKC School of Medicine. 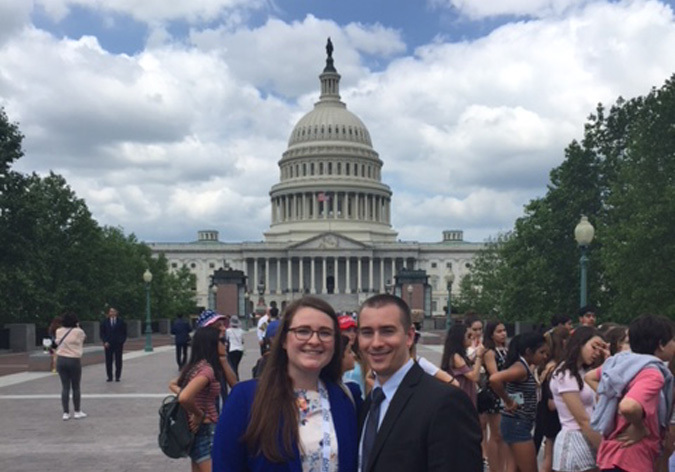 Among the speakers at the event was Dr. Justin Stowell, the radiology resident who started the screening program and who has compiled statistics on its early success. When lung cancer is detected in its early stage, he said, cure rates of 70 to 80 percent are possible. And besides catching lung cancer early, Stowell said TMC’s program has had success in getting more than one-fifth of the people tested to quit smoking. Lung cancer is responsible for 155,000 U.S. deaths a year, more than breast, prostate and colon cancer combined, which emphasizes the need for awareness events such as “Smokin’ Out Lung Cancer.” Stowell also noted that Medicare covers the early screening for many longtime smokers, and insurance companies have been adding coverage as the success of the screenings has been demonstrated. The event, which included a barbecue lunch, was attended by some lung cancer survivors who had benefited from the screenings and subsequent treatment or surgery to remove their cancer. A video was shown that told the survival story of Thaddus Owens, who was at the luncheon. The event also drew some smokers whose doctors had encouraged them to attend. One of them was 64-year-old Carl Kendall, who said he had tapered off in recent years but still smoked at least half a pack a day. Charlie Shields, TMC president and CEO, kicked off the presentations. 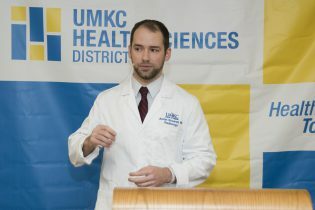 Besides highlighting the screening program’s success, he noted that “Smokin’ Out Lung Cancer” was the first event sponsored by the UMKC Health Sciences District—a newly formed, premier academic health district made up of collaborating health care institutions on Hospital Hill. Representatives of the School of Pharmacy presented information on smoking and lung cancer. The UMKC Health Sciences District is a cooperative partnership formed by 12 neighboring health care institutions on Hospital Hill: University of Missouri- Kansas City and its School of Medicine, School of Nursing and Health Studies, School of Pharmacy and School of Dentistry; Truman Medical Centers; Children’s Mercy; Kansas City, Missouri, Health Department; Missouri Department of Mental Health Center for Behavioral Medicine; Jackson County Medical Examiner; Diastole Scholars’ Center; and Ronald McDonald House Charities of Kansas City. The UMKC Health Sciences District kicked off November’s Lung Cancer Awareness Month by hosting “Smokin’ Out Lung Cancer.” Truman Medical Centers took the lead in the BBQ luncheon event, which raised awareness about lung cancer and lung cancer screening for trainees, faculty, staff, students and patients from across Hospital Hill. It also doubled as a celebration of the initial successes of TMC’s lung cancer screening program — the only resident-driven program in the country. For photos of the event, check our events page. 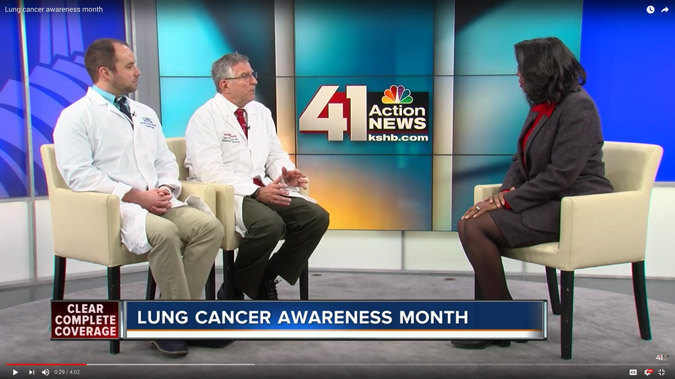 In the first 18 months after forming the multidisciplinary lung screening program, residents and fellows from UMKC successfully screened over 470 patients — a number that continues to grow. The cancer detection rate based on preliminary data is 27 cancers/1000 scans, which is more than five times the detection rate reported nationally in the ACR National Radiology Data Registry. Moreover, the majority of the lung cancers identified through the TMC program have been found at early, treatable stages, which is the ultimate goal of the screening CT. The Radiology Department also saw more than half of the screened patients enter the path to living smoke-free. More than 22 percent of these patients QUIT SMOKING and the remainder decreased their habit — all within 18 months of screening. 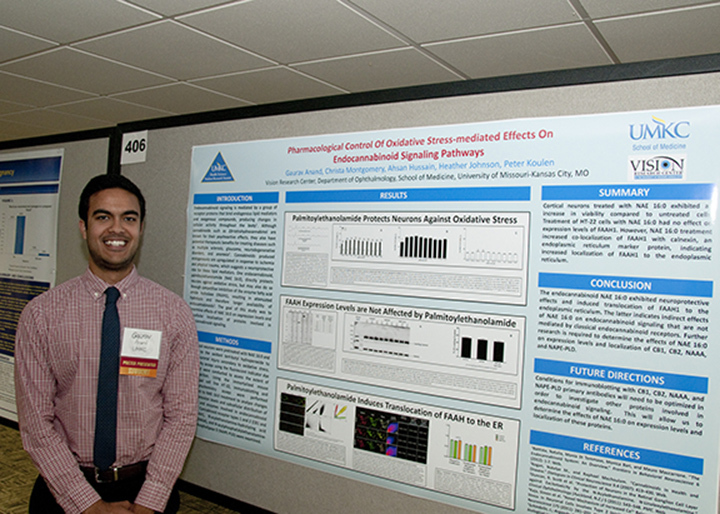 Gaurav Anand won the student poster presentation competition at a recent meeting of the Missouri chapter of the American College of Physicians. Two students received awards for their research posters at the Missouri chapter of the American College of Physicians annual meetings at Osage Beach. The meetings took place Sept. 15-18. Fifth-year student Gaurav Anand captured the first prize and Danielle Cunningham, also a fifth-year student, placed third in the student poster presentations. Anand conducted his research at the Vision Research Center with Peter Koulen, Ph.D., Director of Basic Research and Felix and Carmen Sabates Missouri Endowed Chair in Vision Research, and Christa Montgomery, Ph.D., Research Scientist at the Vision Research Center. He titled his winning poster, Pharmacological control of oxidative stress-mediated effects on endocannabinoid signaling pathways. With his first place award, Anand is now eligible to take part in the poster competition at the national ACP meeting next March in San Diego. 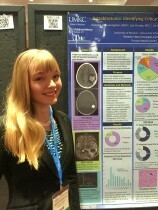 Cunningham placed third with her poster, Neuroradiologic characteristics of astrobastoma and systemic review of the literature: 2 new cases and 125 cases reported in 59 publications. 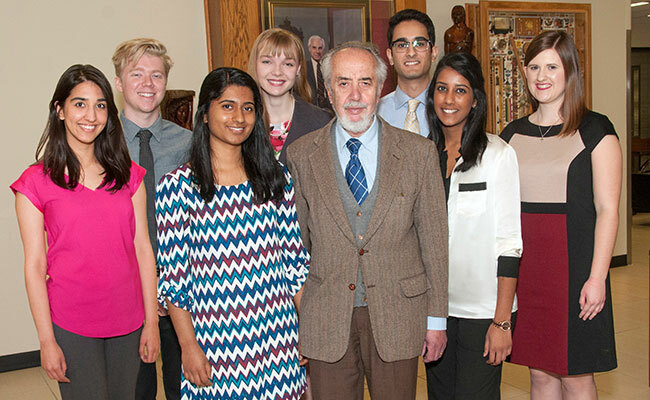 At the meeting, five students and 13 residents from the School of Medicine presented posters. The Missouri ACP competition drew 20 student posters and 80 posters from residents of medical schools throughout the state. 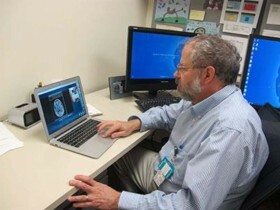 Dr. Doug Rivard and his Radiology team can’t be in person everywhere at once to read images, but the Polycom “Real Presence” tool installed on every Children’s Mercy Hospital PC makes radiologists available to collaborate with providers virtually anywhere, anytime. Radiology has collaborated mostly with CM orthopaedic surgeons by scrolling through images on monitors and discussing the imaging findings in real time while the patient and surgeon are in the operating room. “We’ve proven it works,” Dr. Rivard said. Richard Schwend, MD, FAAP, Orthopaedic Surgery, Director-Orthopaedic Research Program and Chair of the American Academy of Pediatrics Section on Orthopaedics, described the benefits of collaborating with Radiology via Real Presence. “We have been collaborating with our Radiology colleagues in the operating room with the O arm (surgical imaging system) during spine surgery,” Dr. Schwend said. “Patients with scoliosis may have a very distorted spine, making it most important to accurately place pedicle screws during surgery as fixation points for connecting the rods. After the screws are placed and the O arm is used to image the accuracy of the screws, our radiologist has been able to review with us in real time the actual O arm images. By doing this, we are able to examine the placement and accuracy of each screw. The Office of Student Research has selected seven students to receive the October 2015 Sarah Morrison Student Research Awards. Among the recipients is Danielle Cunningham, who completed a month of research working on a project with UMKC faculty members Lisa Lowe, MD, and Natasha Acosta, MD. 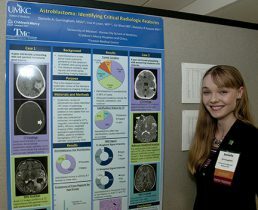 The project entitled “Neuroradiologic Characteristics of Astroblastoma and Systematic Review of the Literature: 2 New Cases and 125 Cases Reported in 59 Publications,” was presented at the Society for Neuro-Oncology by Ms. Cunningham and has been accepted for publication in the journal, Pediatric Radiology. Sarah Morrison awards of up to $1,500 are given to UMKC School of Medicine students twice a year to provide funding to help students learn the value and application of research in the study of medicine. Students who receive awards are expected to present results of their research at the UMKC Student Research Summit and may be invited to present at other similar venues. For further information on this year’s awardees, or if you are interested in applying for the award (April 1 and Oct. 1 deadlines each year), visit the Office of Research Administration’s student research website at http://med.umkc.edu/ora/student_awards/. 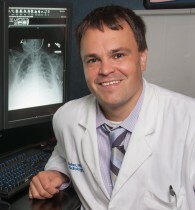 The American Roentgen Ray Society has honored Chris Walker, M.D., assistant professor of radiology. He will serve as the thoracic imaging section chair for the organization’s case-based review course at next spring’s 2016 national meeting in Los Angeles. The course provides diagnostic imaging cases in 11 subspecialties that help prepare residents for upcoming exams and private practice. 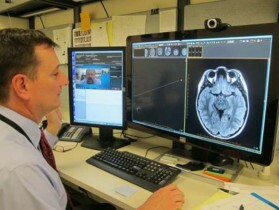 It also helps practicing radiologists refine their skills with an in-depth approach to learning. In addition to his administrative role as section chair, Walker will facilitate a case review focused on pulmonary fibrosis. He was selected to lead a chest imaging case review on pleura/diaphragm in 2014. The society is the oldest radiology society in the world and the organization’s annual meeting is the second-largest radiology meeting each year. School of Medicine professor of radiology and a past president of the society, Melissa Rosado de Christenson, M.D., initiated the case-based review courses at the national meetings. Fourth-year medical student Danielle Cunningham recently received a student travel scholarship to attend the next Society of Interventional Radiology Annual Scientific Meeting. The award provides funding for selected medical students to take part in sessions of the organization’s upcoming meetings in April 2016 in Vancouver, British Columbia. Student training programs will focus on topics ranging from the history of interventional radiology to cutting-edge clinical approaches and procedures in vascular disease, pediatrics, liver disease and research. Students are selected to receive the scholarship based on applications that include their CV, short essays on interventional radiology questions and recommendations by mentors or instructors.